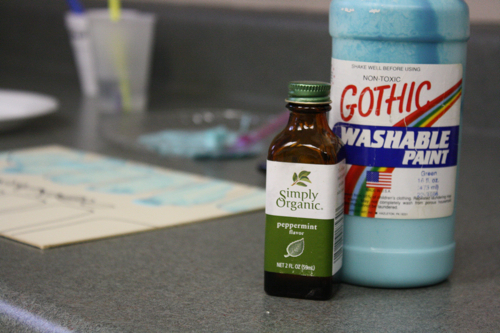 white paint + blue paint + mint extract = paint that looks and smells like toothpaste! 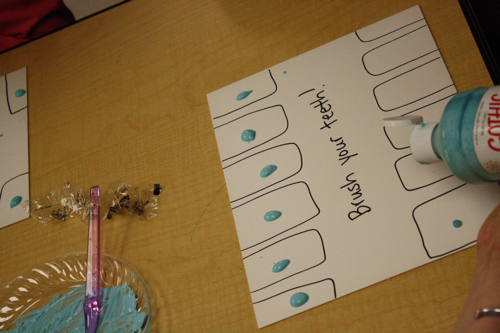 i had tooth shapes on mat board and toothbrushes to brush each tooth with. 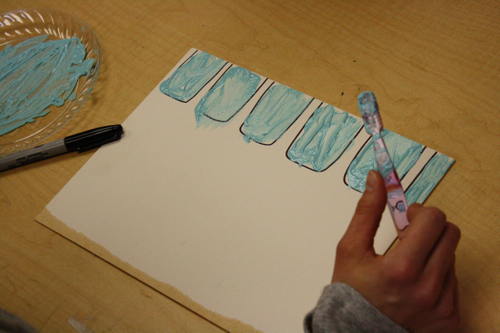 When I first clicked over here, I thought I was going to read about painting with real toothpaste and I was thinking, “Man, that Kirstin must have some budget!” This will be a good post Spring Break project for us . . . A good thing to talk about with all those earless chocolate bunnies still at home! Although I’m wondering if I can find some real toothpaste cheap . . .
What a cute idea! I wonder if I can get the 5-6 year-olds to think of a project like this next year. Funny! 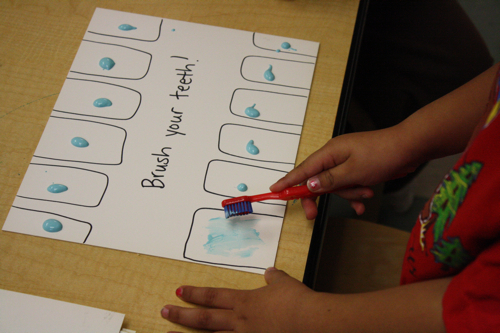 Lucy was convinced that it was actually toothpaste.